To commemorate the 100th anniversary of Saint Anthony’s Feast, the Saint Anthony Society is hosting several events in the neighborhood, beginning with a series of Ruffino wine dinners. The first dinner in the series was at Massimino’s Cucina Italiana, located on Endicott Street. The sold out dinner showcased a six-course tasting menu carefully prepared by chef / owner Paul D’Amore. 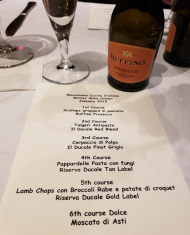 Each course was paired with a Ruffino Wines selection. The February dinner will be hosted by Regina Pizzeria at their Allston location on Tuesday, February 26. There will be antipasto as well as five different pizzas and cannolis, with each course accompanied by a complimenting Ruffino Wine. For tickets, call Jenna Hoang at 617-783-2300. In March, Pellino’s Ristorante at 2 Prince Street will present a tasting menu prepared by chef / owner Frank Pellino. 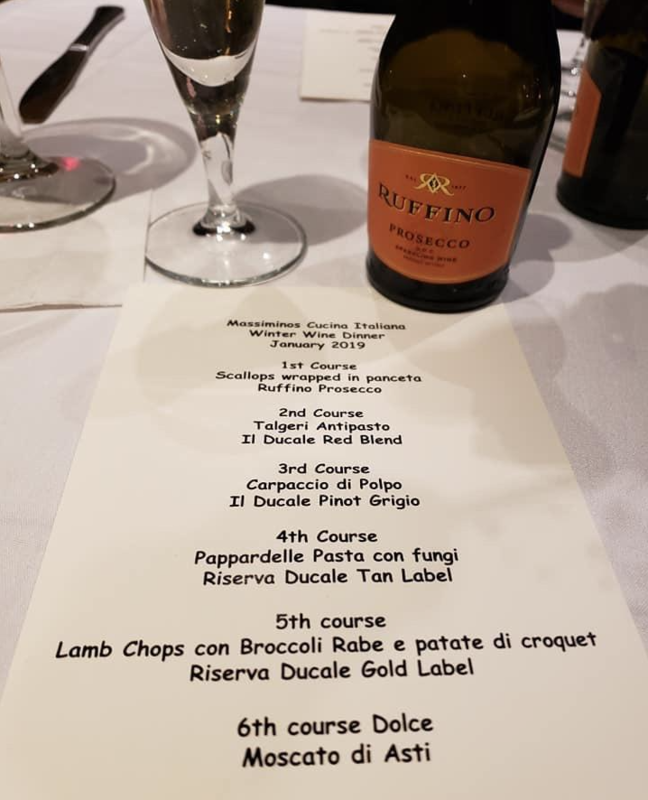 The food will again be paired with a Ruffino Wine. To reserve a table for this event on Tuesday, March 12, call the restaurant at 617-227-7300.